Widden Stud is delighted to announce Group I winner and Champion 2YO Colt Written By has retired to join our stallion roster this spring. 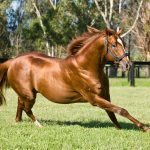 An explosive son of leading speed sire Written Tycoon, Written By displayed his precocity by winning his first four starts in succession highlighted by a dominant two and a half length victory in the Group I MRC Blue Diamond Stakes (1200m). 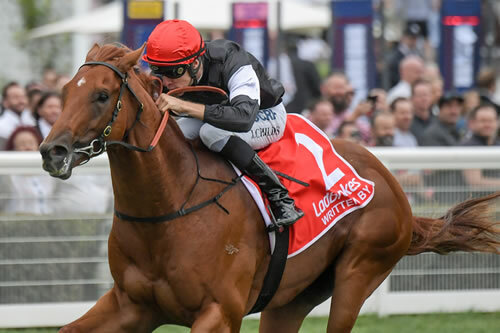 Prepared by Grahame Begg, who also trained his sire Written Tycoon, Written By was able to overcome an outside gate in the prestigious Blue Diamond to race on pace and power away from his rivals with a blistering turn of foot in a career defining performance. Sent to Sydney for the Golden Slipper, Written By was an easy winner of the Group II ATC Pago Pago Stakes (1200m) and then was the first colt home in the Golden Slipper behind Estijaab, Oohood and Sunlight. 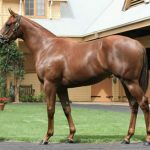 A stunning chestnut bred and retained to race by Hall of Fame trainer Neville Begg and his family, Written By is very true to the Written Tycoon type and comes from the same female family as Champion sire Pins, so ticks every box in terms of pedigree, type and performance. “Champion 2yo colts have an incredible record at stud. From Luskin Star to Canny Lad and more recently Sebring and Pierro. In fact, Written By’s pedigree even features champion 2yo colts and successful sires Rory’s Jester, Marscay and Vain,” said Neville Begg. “Widden have enjoyed unrivalled success in recent years launching the careers of successful stallions such as Sebring, Northern Meteor, Stratum, Nicconi, Star Witness and Zoustar, that have all been wonderfully successful sires,” said Antony Thompson. “Physically, Written By is an awesome individual. Strong, imposing and perfectly built for the Australian conditions & our commercial market. We firmly believe this horse has all the attributes to add to our current sires’ success and we thank Neville and the Begg family for entrusting us to fulfil his next career as a stallion. They have been an absolute pleasure to deal with. Written By will stand his first season at a fee of $24,750 inc GST. Champion 2yo Written By will join Champion 3yo Trapeze Artist as exciting new stallions in the famed Widden Valley nursery this season. In an exciting opportunity for breeders to be involved in the stud career of Written By – Neville Begg and Widden Stud have made available 40 Lifetime Breeding Rights. “This is a fantastic investment opportunity for breeders to secure a guaranteed nomination in a young stallion we feel is going to be enormously popular with the makings of a future champion sire,” said Thompson. Contact the team at Widden to discuss further.